Chris B. Leyerle: Government Funding for Cleantech:Why Do It? There will always be disagreement over what things government should fund. Some argue for utterly minimal spending, with no support for commercial development, corporate research and development, business tax breaks, or anything that benefits the private sector. Many, however, believe government should have a role, and differ only on its size and emphasis. So questions on funding cleantech aren't ones to consider in isolation, especially in a time of handwringing over deficits. Rather, they should be viewed as a zero-sum decision: why fund cleantech in preference to all the other (putatively worthy) alternatives? The government is going to allocate the dollars somewhere; does cleantech have more merit? Should cleantech get more funding than other areas, or less? Or should it and everything else be treated equally? In prior years fellow entrepreneurs and I used to complain that "government shouldn't try to pick winners" when meting out tax dollars. Why the heavy emphasis on some things, like ethanol subsidies or solar project loan guarantees, when critical funding needed by innovative, promising companies in other sectors goes begging for scraps? Why the huge subsidies for dirty energy? Why the disparate treatment? Because they can't help it--there's no way any government can be even-handed short of funding everything. And that's without even considering the politics of appropriations, where many decisions arise from placating legislators' demands for in-district largesse, or by horse-trading for votes on unrelated bills. Growing the economy. Government spending has a multiplier effect where money spent reverberates through subsequent transactions to increase the economic effects beyond the initial outlay. Both the initial spending and its economic ripples can be transient, with only temporary effect. Under the right conditions, and done the right way, the effects can be much longer-lasting and provide on-going economic benefit. Catalysis. Government sometimes acts as a catalyst, providing the seed that demonstrates the fertility of an opportunity for others to seize, or on which to build. Creating or nurturing new economic activity builds a foundation and emboldens others to pursue it too. Private sector activity is primarily driven by the profit motive, and the risk of loss on unproven ventures can prevent a sector getting off the ground. Government can act for reasons other than making money (directly) and by taking the first step can create conditions with competition can subsequently thrive. Competitiveness. Where government can jump-start new economic activity, the private businesses that rush in will have a competitive advantage over businesses elsewhere. This is especially important in the global economy where some countries are vigorously enhancing their economic competitiveness through direct support for new industries (such as cleantech) while other countries dither, only to see burgeoning opportunities depart for stronger economic environments offshore. Jobs. Rightly or wrongly government gets the blame (and rarely the credit) for the level of (un-)employment. Generally a growing economy is matched with growing demand for workers, i.e. more jobs. Government can be a direct employer (the merit of which is the subject of considerable political debate) but government spending can also, done right, as noted above, create enduring private sector growth and the jobs that go with it. Tax revenues. Growing the economy has long been touted as a painless way to grow tax revenues (as opposed to the caterwauling around raising tax rates.) We live in a time of considerable turmoil, even chaos, and creating growth and the revenue from it solves multiple problems simultaneously while obviating the need otherwise for unpalatable alternatives such as cutting essential services. Providing a public benefit. All of the above are public benefits, but one could also add national security, energy independence, environmental protection, sustainability, community development, and many others as well. Government is not a business, and cannot be run solely as one because government's purpose is not to make money but to provide for the common good of the country and its people. To the extent such principles apply, it should be viewed as a triple bottom line business. All of these are intertwined, and could be broken into categories in different ways. There are doubtless others I have missed (please add in the comments!) but these at least provide the rudiments of a framework in which to discuss different funding choices on the merits. Why fund cleantech? The simple answer is that it meets all of the above criteria. What alternatives can make the same claim? Getting funding to cleantech is not and will not be easy. Today, government spending of virtually any kind is subjected to unprecedented levels of scrutiny, even attack. Some of the attacks are unfair and are motivated by partisan political calculation or by naked ideology, but others can be rebuffed by coolly assessing the costs and benefits, as well as the likelihood of the various outcomes. Looking at what has been tried already, and how well it has worked is also instructive; the policies and experiences of other countries and other governments will be the subject a future post. 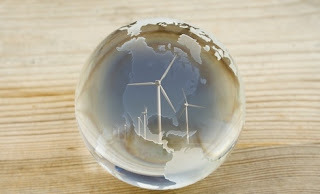 This is a repost from the Northwest Cleantech blog, first published on 9/15/2010.